I know what it is like to feel the fire and fury of rivalry. My father was a Manchester United fan, I didn’t hate him for that. On the Council estate I grew up on and scrabbled around in the mud and dust on, almost every street had some sort of rivalry going on; it was usually over ‘mibs’. “Hey you’re not laikin’ right!” was often the herald to an argument over rules, a fall-out over superiority and then much stomping and huffing about whose Dad’s, mate’s, uncle’s friend who was in the Army was the biggest; then you went in for your banana sandwiches and sat down to watch $6 Million Man or Supergran. Then, it was never about football. Now it is all about football. I can’t help it, I’m a Leeds fan. You can have many girlfriends, many loves but, when it comes to football, your first love is your only love; no matter who you’ve watched first live. I actually used to go to Valley Parade to watch Bradford, happily trailing along behind my father in the rain to watch a Bantams’ side containing Ces Podd. I even went to Elland Road to watch one of the three games Braford played there after the tragic events of the 1985 fire at Valley Parade. By then though, my love affair and eventual marriage to Leeds had set in and set in deep. Like a first sip of cider in the park – an older boy was to blame. However, unlike the cider my taste for Leeds United stuck with me. 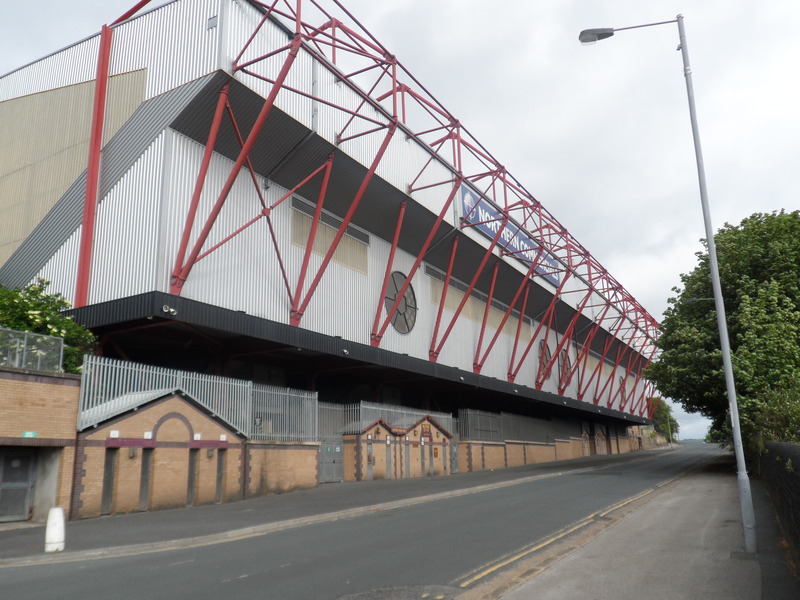 Wednesday August 27th and one of the fiercest local rivalries fires up one more time – Leeds bring their circus to Valley Parade (even in my eyes it’ll never be T’Coral Windows Stadium) in a direct repeat of the game from August 9th 2011. Bradford will be hoping to continue their surging start to the 2014/15 League One campaign whilst Leeds, on the other hand, will be hoping that they play more like Roy of the Rovers and less like Roy Cropper from Coronation Street. History, unfortunately my friends from the BD postcodes, isn’t on the side of the Bantams. There have been 23 competitive games between the two sides stretching back to 23rd September 1922 with Leeds winning 14, Bradford winning 2 and with 7 draws. In this time Leeds have scored 35 goals (1.52 per game) with Bradford scoring just 20 goals (0.87 per game). Put another way, Leeds have emerged victorious 61% OF THE TIME with Bradford claiming only 8.7% of the victories – the Leeds victories containing both League Cup games in the 1998/99 and 2011/12 seasons. It’s an often-used cliché that playing at ‘home’ is like having a 12th man on the field; at Elland Road we would crawl through minefields of broken glass for that luxury at the moment! But a closer look at the games played in Bradford, where Leeds will be aiming for their 5th and Bradford their 3rd victories come Wednesday throws up one interesting nugget of a statistic. In the 10 games that have been played between the two teams there, both have scored 9 goals each (0.9 goals per game). This suggests the potential for a tight game, where chances are at a premium and composure in front of goal is key. That depends on which Leeds United team turns up and how Coach Whackaday (there are worse names bandied around) has prepared them. Indulge me whilst I talk about Leeds for a moment. There is a degree of mixed feelings up in LS11 what with Cellino’s insistence on recruiting his very own legiona stranieri (Foreign Legion) to the club. His thinking behind this is one that will resonate with all football fans – irrespective of club allegiance. Quite simply, English footballers are a.) too greedy or b.) too expensive or c.) both. Take Kieran Agard, who had a stellar season at Rotherham last year scoring 26 goals across all competitions including two in an FA Cup tie. Leeds had a bid accepted but Agard’s agent marched in with a list of demands; after four minutes he was told to leave and that he wasn’t wanted. Now he has dropped back down into League One with Bristol City. Bearing that in mind, who will Leeds United roll up with come Wednesday 27th and how are they likely to play? Looking at recent games, Bradford can only hope that Leeds play badly – something that I am sure we can easily accommodate. With the signing of Giuseppe Bellusci (from Catania), Leeds are buying in a player with five seasons (7,459 minutes) worth of Serie A experience to shore up what has been a decidedly suspect and cumbersome central defender pairing. Liam Cooper was signed from Chesterfield and he deposed Scott Wooton (ex-Manchester United) to play alongside club captain Jason Pearce. Harshly put, either Pearce or Cooper will be axed. Midfield-wise, that’s where Leeds’ weakness lays; a unit that has carried over the ‘mediocre and mid-table’ tag from last season’s campaign. As it stands, the Leeds midfield isn’t very creative, has no real pace and no natural wide players; ‘wide’ as in wingers – not as in Neville Southall. Or Paddy Kenny for that matter. Rodolph Austin and Michael Tonge are the pick of the central four with Austin being ranked 15th midfield player for average passes per game (60 – 83% accurate – source: WhoScored.com) and who was the top-ranked defensive midfield player on the books at Leeds. Tommaso Bianchi (signed from Serie B Sassuolo) is a ball-playing central midfielder being played out of position on the right side of midfield by Coach Whackaday in his much-derided ‘4-4-2 Diamond’. With this system, Whackaday has achieved at least one first; it apparently is possible to polish a diamond and get a turd! Leeds’ weak link, in a midfield that often resembles scene from Rorke’s Drift in the film ‘Zulu’, is Luke Murphy – a former £1 million signing from Crewe Alexandra. Over 260 minutes of 2014/15 Championship football Murphy has shown very little: 22 successful passes per game, less than one shot per game (0.67) but he does create chances for others (1.67 per game). There is also a distinct possibility that Coach Whackaday might give young Lewis Cook a run out in midfield and use recent AC Milan youngster Jen Benedicic at some point in the game. Up front it is more straight-forward; Billy Sharp and recent signing Mirko Antenucci (19 goals – Serie B Ternera) are likely to pose the striking threat. Rivalry-wise Leeds United are still entrenched in the ‘Everybody hates us, we don’t care’ attitude carried over from the 1970s to the present day. As a rational-thinking Leeds fan, well I like to think I am presented that way, I actually hate that dated ‘terrace mentality’; something that I find as a club we need to move away from. There are still chants about “Man Utd” and songs about “Chelsea hatred” sung on the terraces of Elland Road which, in all honesty, make us look like the pond-dwelling lowlife we are often accused of. Terrace-wise, as a club, we need to climb out of the dinosaur era and embrace the modern world of a banter-led approach. There were encouraging signs of this in a 4-0 FA Cup defeat to Manchester City when Leeds’ fans responded to the 4th Man City goal with a rousing chant of “shoes off, if you hate Man Utd” – and the removal of many shoes that were waved in the air. No doubt though there will be chants about Bradford being a “town full of taxis” and the Neanderthal element of the Leeds’ support will show more nasty tendencies. So, how does it feel as a Leeds fan, writing on a Bradford website, about a cup fixture upcoming in a City only 6 miles from where I live? It’s strange – weirdly strange. Chances-wise, I’d like to fall back on the clichéd phrases of “it’ll be a long hard game”, “Leeds will have too much class for Bradford” and “the difference in a division apart means Leeds’ superior class will tell in the end”…but I can’t. This game is a hard one to call; Bradford are confident and flying high in League One, whilst Leeds are scrabbling around looking for crumbs in the Championship. I suppose I will have to end by putting my neck on the line and come up with some kind of prediction and game synopsis. I’m predicting a tight, close game with Leeds coming out 2-1 to the good; it would, for Leeds fans, be good to shut up the ‘noisy neighbours from down the M62’. Then again I am not that confident about that but, like the beggar I once encountered on the Madrid underground, one can only begin with ‘esperanza’ (hope) and eventually get off at ‘prosperidad’ (wealth). Whatever the result, I really do hope that we will be meeting each other in two guaranteed games next season, with Bradford making the step up to the Championship. Good luck Ciddy fans on the 2014/15 League 1 campaign. Graham Smeaton is an English teacher by trade and a self-confessed chic stats geek by nature. Graham has interests in many sports including, NFL and NCAA American Football, but he writes mainly about the trial and tribulations of his favourite football club, Leeds United, including for Bloomberg Sports. I can only apologise for the typo of Ternera rather than Ternana, sorry. What I meant about Sassuolo was that they were a Serie B team when Bianchi played for trhem before he was loaned to Modena. To be quite honest this draw against L666s represents a new dawn in the City fans perspective of the fixtures between the two clubs. LIke it not nowadays we do “proper cup finals” and in recent years L666s dont!!! The gap between the Premiership and certainly the business end of the Premiership has widened to such an extent that there is very little chance of L666s ever challenging for major honours ever again, so the so called `rivalry with Manchester United and Chelsea, has become a joke, enjoyed everywhere but within the L666s boundaries where they are misguided enough to still think they are amongst footballs elite. The “We are L666s” chant no longer has the impact that even those singing can hope for, because to other fans it nows translates as “We are a joke”. Unfortunately at present, despite the comfort blanket of success of the 60s/70s wearing thin, is the reality. It is the reality; I fully agree. Far too much misplaced ideas of greatness and self-reflection on a golden era of bygones from Leeds fans that have no relevance in today’s footballing world. 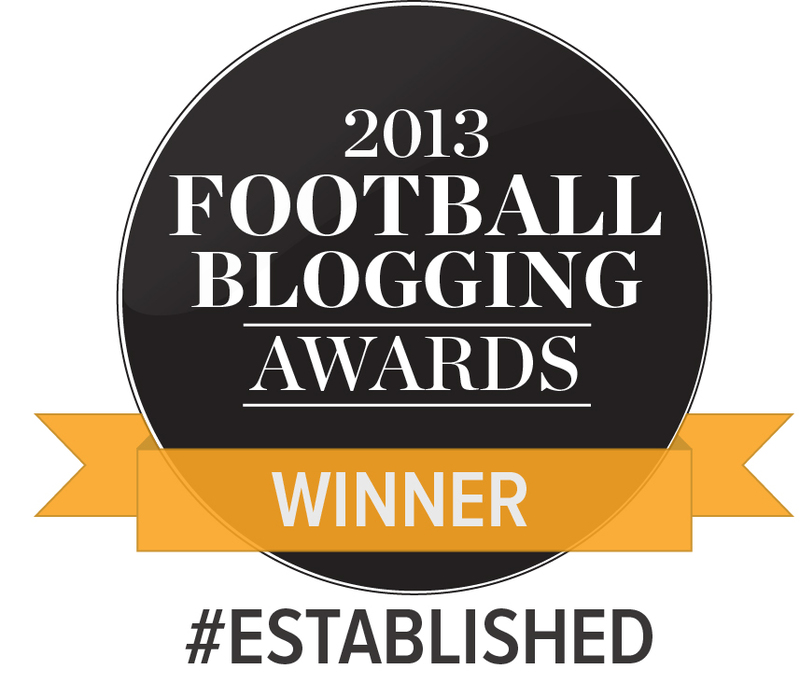 Yes, Bradford City did reach Wembley twice in the 2012/13 season and deservedly so. Even as a Leeds supporter I actually enjoyed watching Bradford on that improbable, yet deserved, run to Wembley before they were beaten by Swansea. I even watched the playoff final win that took you up to League One. You say we/you “no longer have the same dislike” yet: a.) you can’t bring yourself to type the full ‘Leeds’ name and b.) the tone of your comments actually belie that it does mean something to you personally. Whilst it may not be your “cup final” any longer, you KNOW you want to put one over on us…admit it. All my Bradford City supporting friends say this is a “big game” for you because, lets be realistic, you’ll not get to a Wembley Cup Final just like we won’t qualify for Europe. Anyway, I already said that I was one from moving away from that traditional terrace mentality; plus it is a ‘massive’ game for you – the ground will be full and rightly so – two very proud teams. Mildly amusing, but the old Leeds insecurities shine through! Get a new life and remain optimistic that even the worst lows can generate real change; we did, and went to Wembley twice in one season. Even the nastiest of snakes can shed its skin and be reborn; go on Leeds, I dare you! Chris. They just dont get it. We are wasting our time. Unfortunately you cannot educate them. Just like we cant type the words L****ds or L666s, they seem unable to grasp that the reason they are disliked throughout football, by fans of many clubs, is this arrogance and belief that despite many years of struggle in League 1 and the middle of the Championship, they `belong in the Premiership amongst English footballs elite” As you say, the same old securities shining through. Its a forlorn hope however that change may take place. Yes its a big game for us, but no longer regarded as `our cup final` as its merely a game against our neighbours, who just happen to struggle in a league above us. Good article Graham – and good on you for writing it for WOAP. I can really identify with your story because its the mirror image of mine. My dad was a season ticket holder in the Revie era and has been to every final Leeds have been in. My first live match was Leeds versus Wolves in the old 1st division circa 1980. I, however, saw the light and became a Bantam partly because my parents wouldn’t let me go to Elland Road on my own (hooligan element) and partly because some close mates were Bantams and VP was on a good bus route. Its strange how things work out sometimes. I don’t share the hatred many have for Leeds. I think its because my dad is still a LUFC supporter and I like him – and don’t know anyone who doesn’t! I’ll probably get lynched for this but I believe, given the size of the fan base, the Leeds supporters have been badly let down by successive owners, financial shenanigans, and slights of hand. The whole Ken Bates ownership thing was just shocking. There is a nasty minority who follow Leeds, but quite frankly there’s a section of knobheads at all clubs. Given all that I can’t wait for the game tomorrow. Its going to be great. I believe that City will edge it. The mentality Parky has bred into his teams will ensure that there’s no inferiority complex and they will certainly be up for the challenge. Like you though I think its going to be very very tight! Forget the premiership – we all can. Best anyone can hope for is a couple of years max before relegation back to the Championship. What I’d like to see in a few years time is a Championship full of Yorkshire clubs – City, Leeds, Sheff W, Sheff United, Rotherham, Barnsley, Town. Now that would be a crackling league! Cheers Andy, I wrote it because I wanted to rise above the general consensus that Leeds fans are mindless knobheads; there’s that element unfortunately who follow Leeds; there always will be. There are mindless knobheads that follow every football club unfortunately. There will always be the very same element who crave the good times and still cling to the very distant remnants of a bygone era that has gone by long ago. That train left many, many years ago. It does actually make me cringe when people say, “Leeds deserve to belong in the Premiership”; we were a better team in League One to be fair. Whatever happens tomorrow, I do sincerely hope that Bradford City do get promotion to the Championship and it is nice to see Alan Sheehan doing a fantastic job for City. He was a player I couldn’t believe Leeds let go. Even if we do lose, and that is a distinct possibility, it can’t be as embarrassing as paying £60 million for a player and goi out 4-0 to a team two divisions below. And there comes the irrational dislike for Manchester United again. Seems like some of us will never change!! Irrational, hardly – a throwaway comment really. I think a lot of football fans were chuckling at that result to be fair. Talking of not changing – you’d never find me ending any of what I write with M.O.T. Good on you for writing this article, I just hope the mindless idiots that can ruin these great games stay away, that goes for both our clubs. I made the mistake of taking my wife to Bradford vs Leeds in the premiership, she was frankly scared by both sets of fans as the anger and nastiness was unbelievable. Not helped by collymores goal celebration. The result is she has refused to come to any game since! I also find it amazing that any Bradford football fans take enjoyment from other clubs misfortune after the last decade. Heres hoping we get chance to regularly play Leeds in the Championship. Mark, to be fair, there’s many supporters from all clubs who dislike Manchester United, not just Leeds. They can be arrogant at times but lets face it, City could be guilty of that too when playing the likes or Barnet, Hereford, Exeter etc. Give Graham a little credit. I hope if I ever posted on a Leeds site my article would be as thoughtful, insightful and well written as his was. Unfortunately there’s too many football fans in the world and not enough fans of football. I’d like to think that most WOAP readers are examples of the latter whilst also being committed to the City. And so tonight we see flares being set off in a ground that witnessed a fire disaster, seats being ripped out and thrown on the pitch, and L666s fans trampling over their own disabled fans.